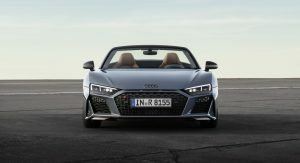 Following a preview earlier today, Audi has officially unveiled the 2019 R8 Coupe and Spyder. 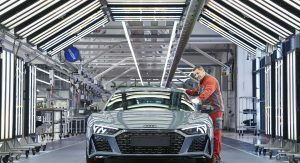 Set to go on sale in Europe early next year, the facelifted models have a more aggressive design as they adopt a wider Singleframe grille and three hood slits that pay tribute to the iconic Ur-quattro. Elsewhere, designers installed a new front splitter and more aggressive air intakes. 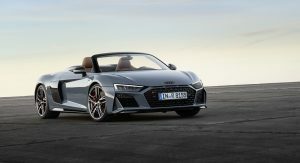 Additional styling changes are limited, but Audi says the model has a new three-piece engine cover that is available in either plastic or carbon fiber. 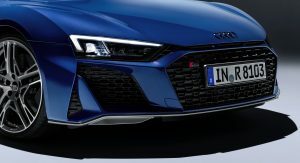 Speaking of options, there will be up to three exterior styling packages which add “various highlights to the front splitter, the side trims and the diffuser.” The updated model also offers two new colors – Kemora Gray and Ascari Blue – and optional high-gloss black badges. 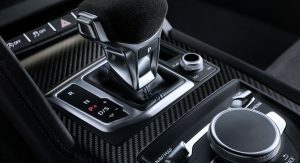 Interior changes are limited to new color options which include “pastel silver with rock gray contrasting stitching, palomino brown with steel gray stitching and black with utopia blue stitching.” The range-topping model will also be available with an R8 performance design package with leather and Alcantara upholstery as well as carbon fiber trim and Mercato blue accents. 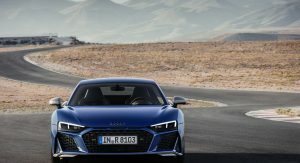 In terms of performance, the R8 V10 has an upgraded engine that now produces 562 hp (419 kW / 570 PS) and 405 lb-ft (550 Nm) of torque – an increase of 29 hp (22 kW / 30 PS) and 7 lb-ft (10 Nm). Thanks to the extra power, the coupe accelerates from 0-62 mph (0-100 km/h) in 3.4 seconds before hitting a top speed of 201 mph (324 km/h). 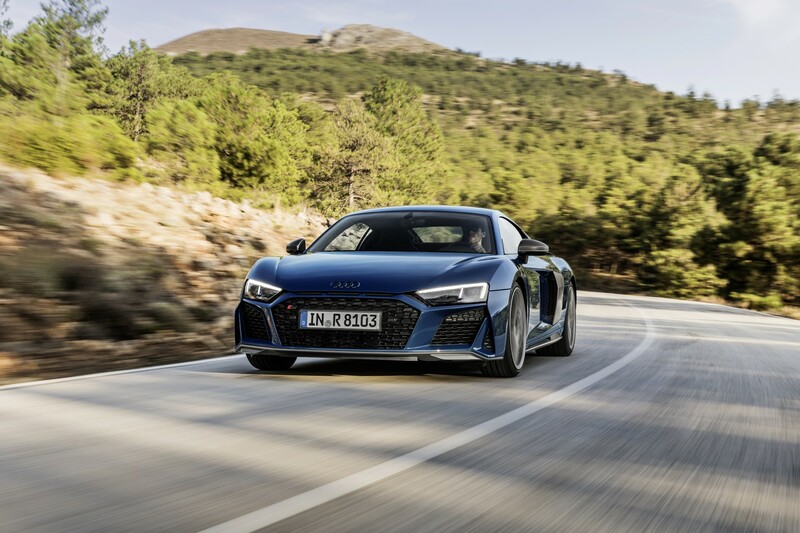 The 5.2-liter engine in the R8 V10 performance is also more powerful than its predecessor as it develops 611 hp (456 kW / 620 PS) and 427 lb-ft (580 Nm) of torque. These are modest improvements of 9 hp (7 kW / 10 PS) and 14 lb-ft (20 Nm). 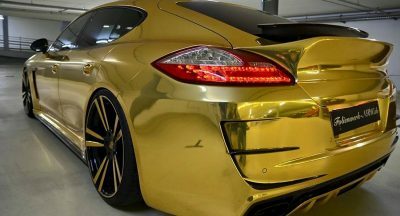 This enables the coupe to run from 0-62 mph (0-100 km/h) in 3.1 seconds and hit a top speed of 205 mph (331 km/h). 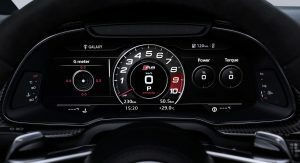 While Audi was coy on specifics, the company confirmed the 2019 R8 has a revised suspension which promises to provide “even more stability and precision.” Furthermore, the standard power steering system and the optional dynamic steering system have been retuned to offer improved feedback and response. 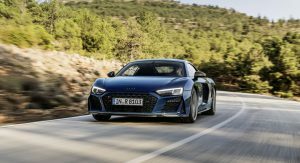 Sticking with handling, the facelifted R8 has an enhanced Electronic Stabilization Control system which helps to improve braking. In the range-topping model, the 62-0 mph (100-0 km/h) distance improves by up to 4.9 feet (1.5 meters) while the 124-0 mph (200-0 km/h) distance is up to 16.4 feet (5 meters) shorter than before. 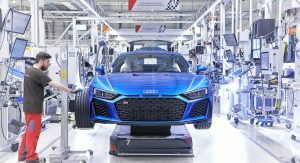 Other performance updates include 20-inch ultralight milled wheels with “new summer and sport tires which convey even more precise handling.” They join familiar carbon ceramic brake discs and a carbon fiber-reinforced polymer / aluminum front stabilizer as options. I like it a lot. But i still say it should have the V8 4.0T in it. 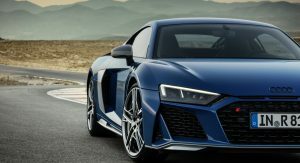 Should also have a V8, not just a fake cheaper V8 (cost as much as V10 with small options already in the V10) but also to be more than a Lambo in Audi clothes. I wich it had a V8 with as much performance as the V10, wich we know they could do. 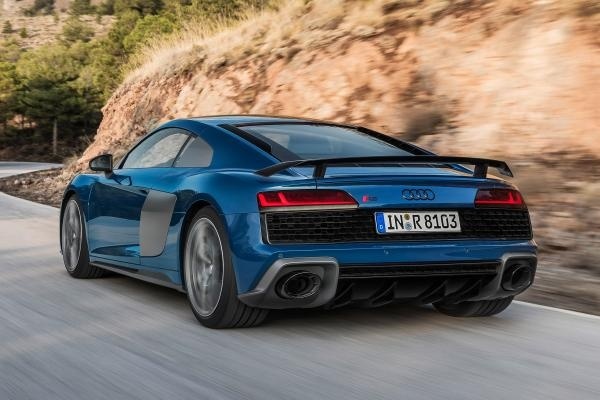 I’m a simple guy looking for simple logic in most things, and an R8 should really have an R8 engine in the back. 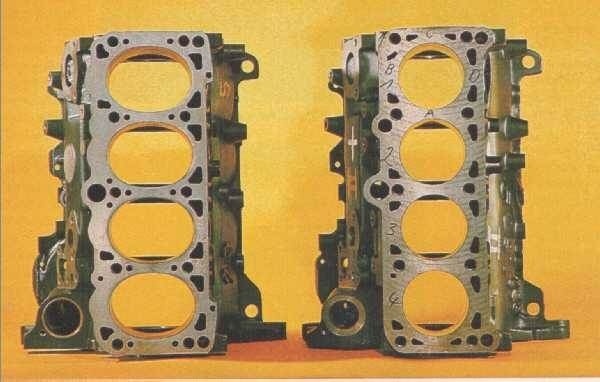 The Audi V8 actually had a… you guessed it. 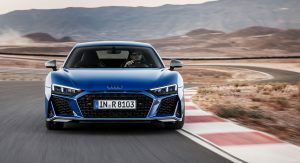 Maybe oval sylinders on an R8-engine, to save some inches on the length, but when they can fit a V10, an R8 doesn’t need to be thats much longer anyway. When VAG could do a VR5 and a W12, the engineering shouldn’t be that much of a problem, and they have actually experimented with this many years ago. And imagine the sound of it! And the publicity, compared to what 2.gen R8 receives now. Weak judgment from Audi. Wow I’m… shocked at how much I don’t like this. It’s not terrible but it’s pretty ugh. 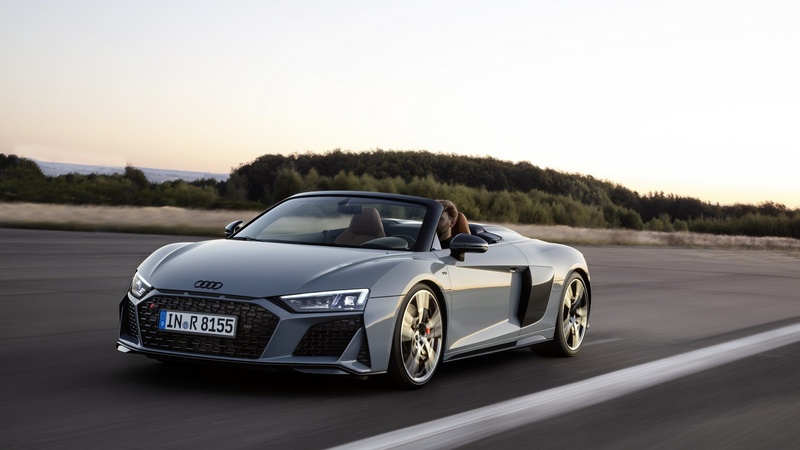 I could’ve sworn the R8 looked better in previous years but after some googling I’ve realized that the R8 doesn’t look that good anymore (the 2015 is ok). The NSX looks 1000 times better imo. I get what you are saying but I feel that about the current version, not this update. For whatever reason, I really like the new styling. 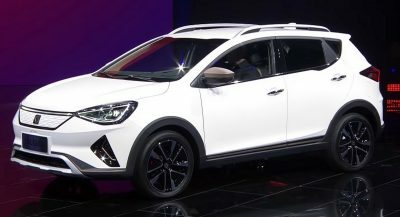 The current model is a good looking car but something about it is just too….normal. 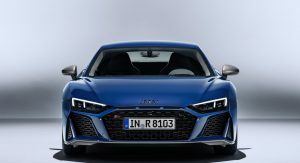 This new styling gives the R8 a more aggressive and unique look. That being said, I also prefer the NSX which also looks very good with its new update. The NSX receives a lot of hate but I strangely really like it. It is my dream daily driver. THE FRONT END IS A MESS. I agree. It looks like they ran out of options. They ran out of options back in 2010. I agree.. what was Audi thinking!! 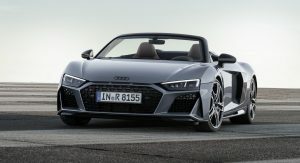 So sad to see this come to this.. the original R8 was and still is the best looking.. still wowed by it when I see out in the road. But having said this is take it over a Porsche or NSX any day.. especially over the nsx. It has almost a Acura NSX like look, which is definitely not the direction it should have went. I think the proportions are way off in photographs, but definitely execution feels like an afterthought this refresh. It’s better compared to the pre-facelifted one but I still prefer the first gen. I can live with the front end but there’s way too many sharp angles on it. This is much improved over the current version for sure. I loved the first gen R8 but looking back at it, I think I like this updated version more. You know what would be cool? An actual picture of the rear. Yeah. 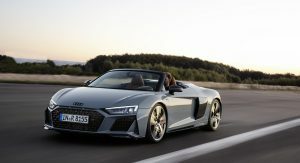 Audi hasn’t released them yet for some reasons. These exhaust pipes are hilarious, what were they thinking!? 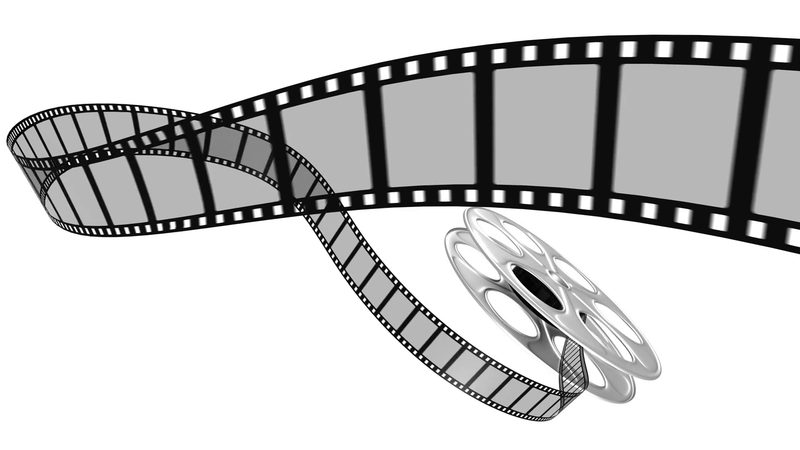 at least they are reel, a rare thing these days. hideous. 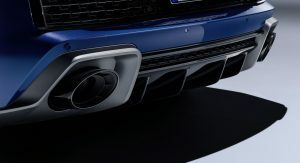 what is with that air duct underneath the bonnet that audi keeps putting on their cars. at least we will always have the first gen R8. 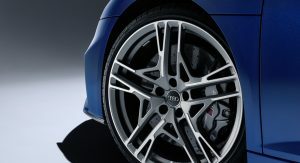 It’s a historical design nod from the Audi Sport Quattro (Discus won’t let me load a photo). ah, i see… unfortunately it looks terrible. Looks more aggressive, which I think I like better. And at least it has real exhaust holes for dinosaur vapor to pass through. WTF did they do to the front?? The og r8 is so much better looking than this gen. I mean, I like it, but I do not love it. But, am I going to be obsessed and have it as a wallpaper within a week or two, FOR SURE. It might take a little getting used to.. like others have said, it’s better that V2, but not as awesome as V1. The first gen R8 is the best looking in my opinion. It blends the right amount to sexiness and aggressiveness. It’s civilized and savage at the same time. It has distinction among its stablemates. 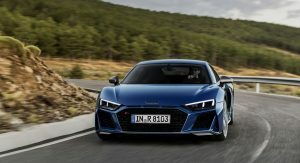 The latest R8 looks like a copy from the TT. They really managed to keep the R8 fresh and very attractive after all these years. 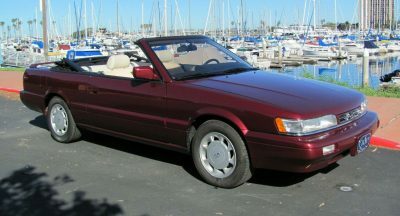 Id love to own a used one some day if they arent mega expensive for a DIY guy to maintain. Those Y front cutaways are just not ok.
Well, you hate it or like it. I like it! I’m looking forward to seeing what this looks like in the flesh. 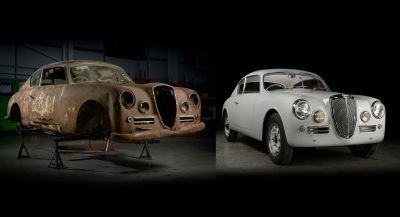 I’m happy that the car has more presence as a result of the more angular design aesthetic. I loved the first gen R8, but always felt the proportions were off. The second gen was a bit to conservative IMO. This update fixes that. Much more aggressive in appearance, which I like. So why isn’t there at least one decent shot of the rear end treatment hmmm? 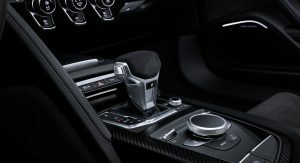 I hate to admit it, but as boring as a lot of German cars are now, if they TEASE something new or updated, they follow up QUICKLY and actually release it on time. So kudos to the Germans for this! And SHAME on the Japanese for SUCKING at this. Like it and know it will look better in person. These Audi designs never photograph well. One change I feel as though its missing is new headlights and taillight graphics. This was always a given on refreshs to distinguish models. This looks good, but can’t help it would have looked better with headlights more similar to the new A7 and taillight graphics redone with OLED’s light the TT-RS or a light bar like the new A8. 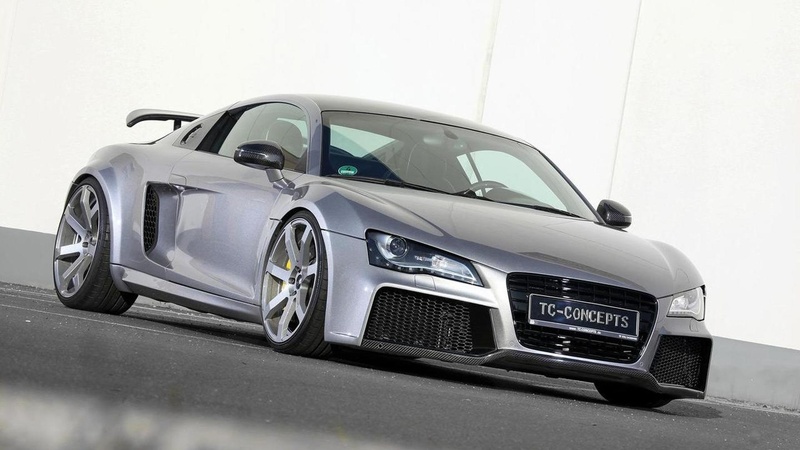 finally some nice wheels for R8….. but that front is too busy…. i would delete those fake headlight intakes and make those in the corners of the front bumper functional….